Maps can be used in a number of different ways within an article, one of the most obvious is to provide directions to an event. 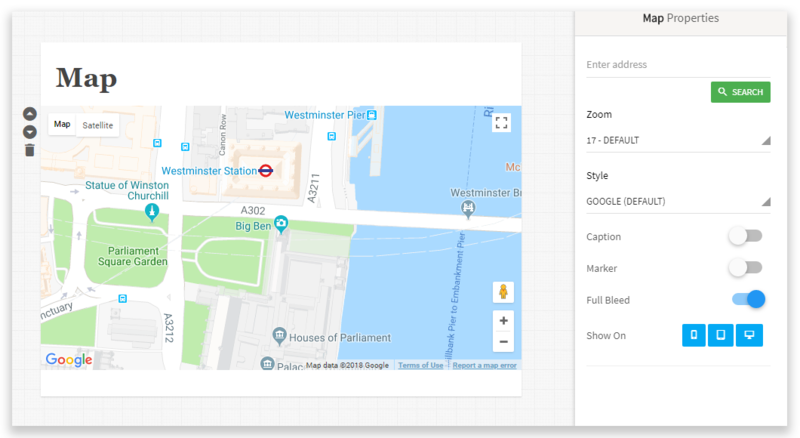 To use a map, place a map component and enter a postcode or paste in the Google maps url or share code. Change the style of the map, such as Google's default, Apple Maps, Greyscale, Subtle Blue or more.